As per authorities in Ting Ling Tea Estate (T.E), in Mirik they received 13" (330mm) of rainfall between 30Jun and 01Jul2015 and having measured 8.8" (224mm) of rainfall in my Symon's rainfall gauge at Kalimpong for the same period I find that phenomenal amount of rainfall in Mirik wholly believable. 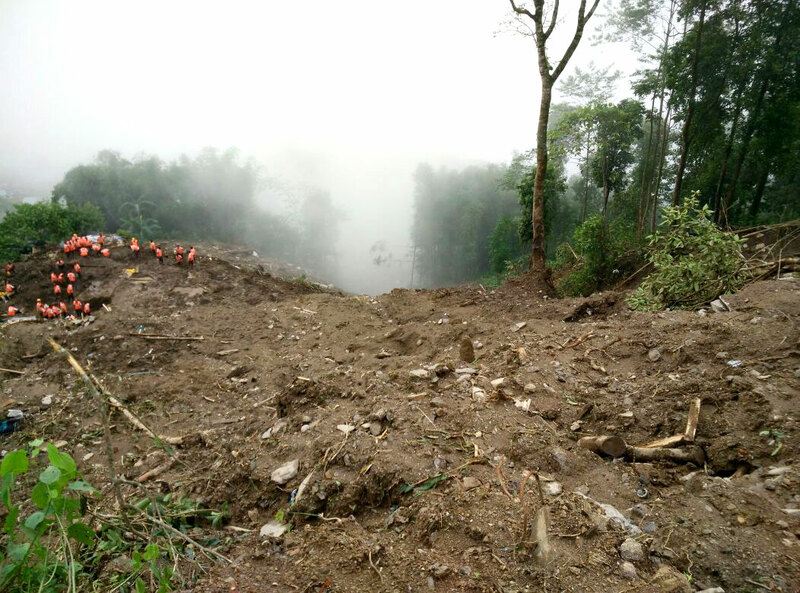 As per the authorities I spoke to, 19 deaths are confirmed at Limbu Gaon in the T.E, with 20 casualties being rescued. 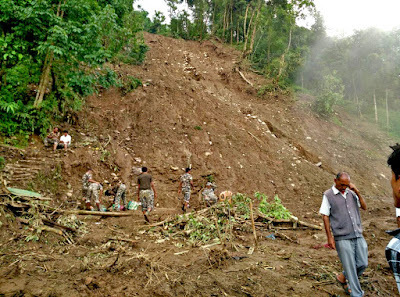 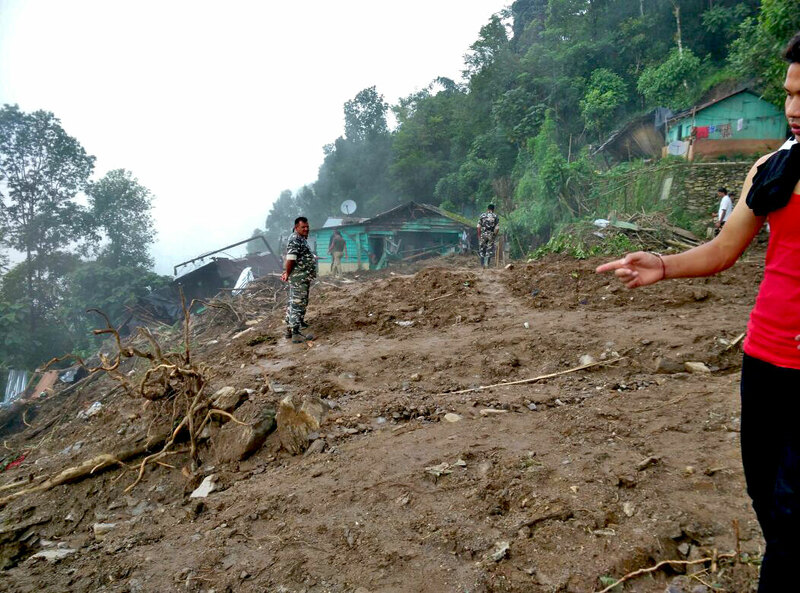 The images above of NDRF and other para-military persons taking part in searching for the dead in the landslides were sent to me by Arvind Subba, a young volunteer who is himself taking part in the relief operations there.